How to Get Rid of Moles - Remove Pests from your Home & Yard! Moles feed on grubs, insect, pests and soil organisms such as earthworms. They continually dig tunnels for new feeding grounds and do not use the same one more than once. Interestingly, these animals have the power to dig up to 18 feet in an hour, making both surface holes and deep tunnels. During their relentless search for food, they create eyesore molehills and tunnels making it a primary reason why anyone would want to get rid of them from their yards. Exterminating moles may not be one of the easiest tasks. in the world but with our help, it is fairly easy to remove them out of your house and yard. You may have to employ different methods, and that is why we have compiled some of the most efficient ones for you. Various plants have been proven effective in getting rid of moles. One of them is the Euphorbia lathyris, also known as the mole plant. It is a self-seeding and invasive plant that could also boost the appeal of your garden when it flowers. Planting garlic or chocolate lilies is another effective way of controlling these pests. These tend to turn the animals off making them find other places that are devoid of such plants. Others include the castor bean plant, daffodils, marigold, and alliums. You should, however, note that some of these plants could be poisonous and hence not suitable if you have children or pets who have access to your lawn. Moles are known to use their sense of smell more than they do their sight. You can leverage this power to beat them by spraying repellents that keep them off. You can make a natural mole repellent using castor oil and dish soap. All you need to do is to mix 6 ounces of castor oil and two tablespoons of dish soap in a gallon of water and apply it to your garden regularly especially after the rains. You could also opt for the store-bought pest repellents which are usually safe around pets and children. A solar powered mole repellent could also come in handy in case of an infestation. These work by sending electric currents through the ground, thereby turning the animals away from your yard. You can consider flooding them out using piped water. You only need to find an active mole tunnel, insert the hose and allow the water to flow in. Once the flooding is sufficient, all the moles in the tunnels will be flushed out of your yard easily. You need to ensure that you use enough water and come up with a way of trapping them because they might just run away and return once the soil has dried out. This method, however, might be expensive as you risk running a stiff water bill or worse flooding out your property. Predators can also help you drive away moles from your garden. One of the renowned predators that make these animals run away is the owl. You, therefore, need to find ways to attract owls to your garden by, for example, setting up a nest box and filling it with straws. Your cat could also be useful as cats’ smell tends to repel them away, do not forget that they are also good animal hunters. Other Predators include weasels, skunks, snakes, and dogs. Just having animals in your yard as they can keep the moles at bay because they dislike vibrations and noise. The use of traps is the other standard method most people rely on in getting rid of pests. You can easily access a mouse trap or mole trap in your local pest control products store or an online one. 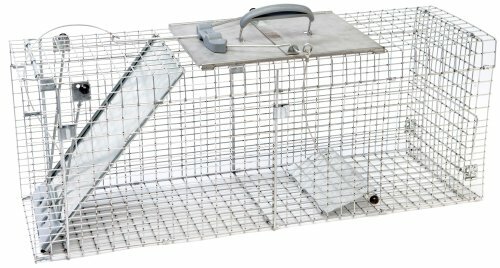 These could be either live traps or killing traps, whichever you find convenient or legal. 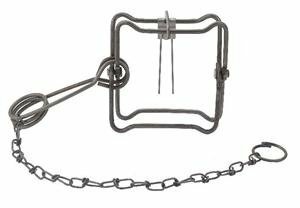 An animal trap allows you to catch the vermins when they attempt to feed on a bait meaning that you only need to set it up in an active tunnel. Note that if you intend to use a traditional mousetrap, you will need to wash it with soapy water to remove any odors because these animals won’t go near it if they smell any scent that isn’t theirs. This is one of the most friendly ways to get rid of moles. It involves trapping live moles in a container fitted in a hole whereby the moles falls into it. To install a pit trap, you first need to determine which runway is most active, then carefully dig through it and fit a large jar that is in level with the bottom of the tunnel. You will then have to cover the pot with wood shavings or soil to ensure that it becomes a part of the runway. Inspect your trap from time to time and pick up the animals caught up in it to release them somewhere far away. Although this method is simple, it may not serve as a permanent solution to eradicating these underground pests. Building a fence around your garden offer a more permanent solution when done right. This technique keeps moles away rather than catching or killing them. The best way to do it is to dig a trench around your lawn or garden that is 2 feet deep and build your barrier from that depth. 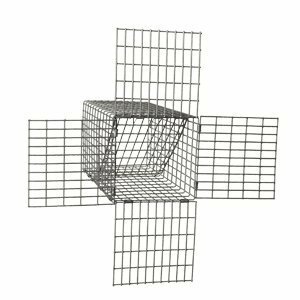 You can use concrete, wire mesh, gravel, or any other material that will prevent the underground diggers from crossing over to your lawn or yard. The use of vibrating tools is a straightforward and effortless method of exterminating moles from your yard. This is because moles don’t live in areas that have any sort of noise disturbances. You can, therefore, set up vibrations in the ground along the paths they dig to trigger sounds so as to send them away. Leave a few wind propelled spinners here and there on your lawn, kid’s pinwheels or a homemade thumper as these will help ward of any infestations from these underground pests. So, if you want to prevent these pests from ever coming back, this is a great idea to try out! If you want to learn more about Ultra Sonic Pest Repellers then read more down below. Probably one of the more advanced way of getting rid of any pests is the ultrasonic pest repeller, it's made with unique technology that only affects these pesky animals. If you want to learn more about it, just click the button below. 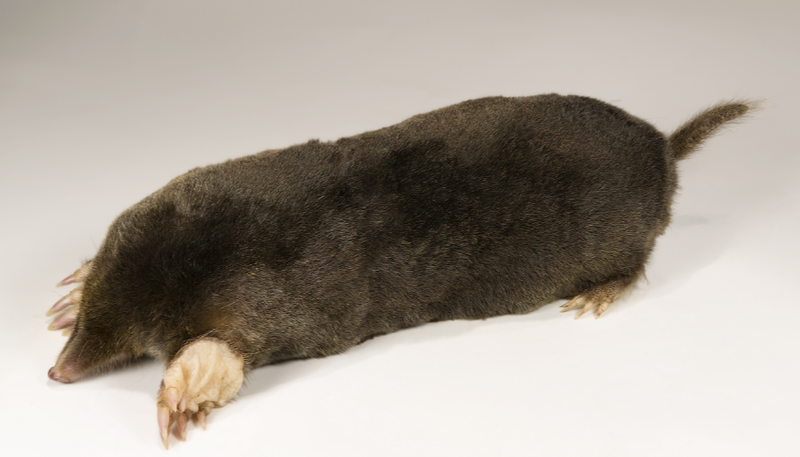 Expert mole exterminators have the right experience of getting rid of moles in your yard. They know which methods to use, equipment as well as how well to dispose of these animals. They can also give you advice on how to protect your garden from being infested by these skillful diggers. Hiring the best qualified professional in your area guarantees you of permanent, fast and quality pest extermination services. By employing either of the tricks mentioned above correctly, you can quickly eliminate the nuisance caused by these animals and rejuvenate the appearance of your yard. If you want to learn more about getting rid of other pests in your home, do so by clicking here.